Toyota is recalling 2.1 million of its Prius, RAV4, Tacoma and Lexus vehicles globally. Toyota is recalling 2.1 million of its Prius, RAV4, Tacoma and Lexus vehicles globally because of a software problem that could cause cars to stop suddenly. Toyota Motors said Wednesday it is recalling about 1.9 million Prius vehicles, including 713,000 in North America, 997,000 in Japan and 130,000 in Europe. 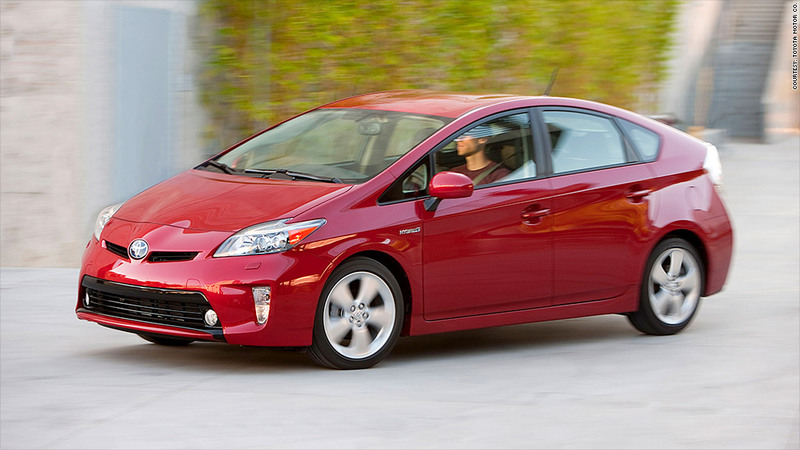 The automaker is recalling Prius vehicles from 2010 to 2014 to update the software. The settings "could result in higher thermal stress in certain transistors," which would be flagged by warning lights, the company said. "In rare circumstances, the hybrid system might shut down while the vehicle is being driven, resulting in the loss of power and the vehicle coming to a stop," said Toyota, in a press release. Toyota (TM) is also recalling 260,000 other vehicles in the U.S., including the RAV4 from 2012, the Tacoma from 2012 and 2013, and the Lexus RX 350 from 2012 and 2013. The automaker said it needs to update the software in those vehicles because of a problem with electronic circuits that could shut off functions for vehicle stability control, anti-lock brake and traction control. But even if those systems shut down, the brakes will remain "fully functional," said Toyota.